By subscribing to our newsletter you agree to receive our e-newsletters sent to your email address. Maritime & Logistics Weekly is an educational newsletter for maritime and logistics industry stakeholders. 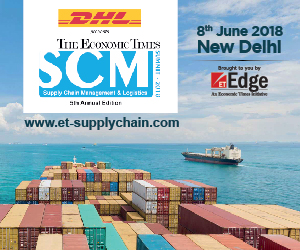 It is published by Apex Group for the global maritime and logistics ecosystem. Our editorial board comprising reputed maritime, logistics, and media leaders curates key maritime news and analysis across the seven segments of maritime and logistics ecosystem, once a week to support you in making informed decisions in the week ahead. The frequency of the newsletter is once a week. However, we may send you an out-of-turn edition occasionally in case of an important update, but as a matter of policy, we avoid any out-of-turn mail until very necessary. We reserve the sole right to either modify or discontinue the newsletter at any time with or without notice. We will not be liable to you or any third party should we exercise such a right. We don’t share or sell your data to any third party including advertisers. We ask for your organization & contact number to verify as and when needed, if you are connected to the maritime & logistics industry which is a qualifier for the subscription. At Maritime & Logistics weekly we despise spams as much as you do. That is the reason why our newsletters services are invitation-based. If you are NOT interested in receiving our eNewsletters at any point and want your e-mail to be deleted from our mailing list , please feel free to notify us and we will delete all your relevant information. As importantly, we ensure compliance with international anti-spam regulations. We don’t store your information on our website to protect your privacy, all information about subscribers is stored in digitally secured lists, whose access is password protected. Towards General Data Protection Regulation (GDPR) Compliance Confirmation-we require your explicit agreement & consent to continue maintaining your contact information, and to continue sending you our e-Newsletter. If you are NOT interested in receiving our eNewsletters at any point and want your e-mail to be deleted from our mailing list , please feel free to notify us and we will delete all your relevant information.